Solution for this problem is easy. Before we go with the solution, we strongly recommend you to buy the latest version of Windows OS. Microsoft has stopped support for Windows XP. Your PC may be get hacked easily when you use older OS. Why I’m seeing this error message? 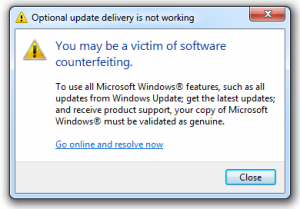 You see the error message “you may be a nvictim of software counterfeiting” because you may have installed WGA update. When you update the windows, it will install the Windows Genuine Advantage(WGA). Usually, the Windows XP users are faced with this error. This problem is very difficult to handle. The solution is quite easy to solve. You have to remove the update of WGA from your system and then this error message won’t appear. Step 4: Click on the Software option to open its subfolders. Step 5: Open the Microsoft option, by clicking the “+” symbol next to it. Step 6: Open the subfolders in the following sequence until you reach the “Notify” folder. 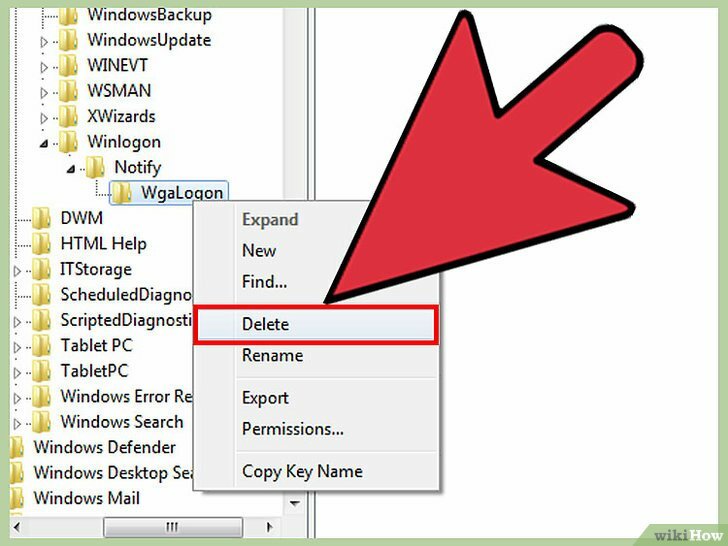 Step 7: “Delete” the WAGLogan folder, if you completed all of the above steps. Step 8: You have to restart your system. You won’t see the error message ever again. 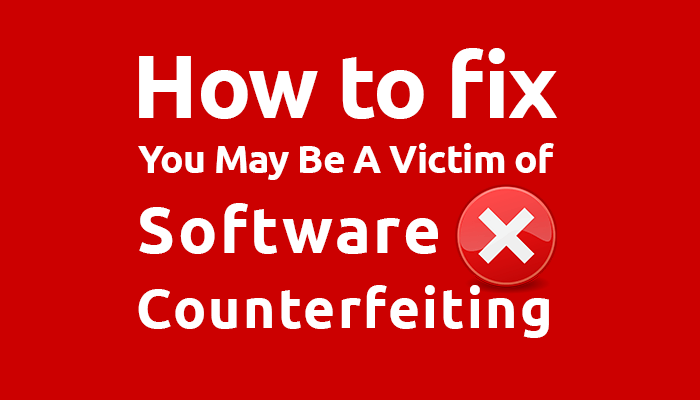 The above steps will give you a permanent solution for this error message of You may be a victim of software counterfeiting. This error won’t pop up in the future. Always use the new versions of the Operating System. We recommend you to use the orginal software from the microsoft store.